Java Vs Kotlin: What is the Future for Android App Development? There are many types of websites like ecommerce website, static website, content management system (CMS), blog, etc. Each one of them is unique and has a unique purpose too. A content management system can be thought of an administrative software system which helps to organise all your content, be it articles, information or images and even contact details. A content management system can come handy for many different types of businesses as listed here. For a small website with 5 pages which needs frequent updates, a content management system is ideal, since it allows one to update every area of the website. For a website with a large number pages which has become hard to organize and keep track off, a content management system is good idea. This allows to categories the pages and maintain a searchable index of them. It is the best solution for someone with very little to no knowledge of HTML. For a website were your articles or blog pages require to be edited or reviewed prior to publishing a content management system is the best solution. A content management system can be useful beyond just articles and images too. It has several other features that can be useful to a large number of organization like newsletter, community tool or social networking, or even a forum for that matter. The content management system software has been around for a while and it is likely that many businesses and personal blogs are already using a CMS. Thus it is important for those with existing CMS websites to note that the CMS software have come a long way in recent years and have improved for the better with more features. Hence it is a good idea to update your existing CMS if it was done a long time ago to include additional features like a sitemap, a photo gallery, a robust contact form to start with. In addition to which there are also several visual elements that can be enhanced by implementing sliders and widgets. Besides which there are also tools available to help optimise your CMS. These are SEO tools and even analytical tools that can help organize your website. With the current CMS software being so feature rich, optimising your existing CMS website can help you remain competitive in the global market. A CMS is a very robust type of website and can be implemented in many ways. Besides providing the basic feature of helping to organize the content and even images it possible to do much more with a CMS. 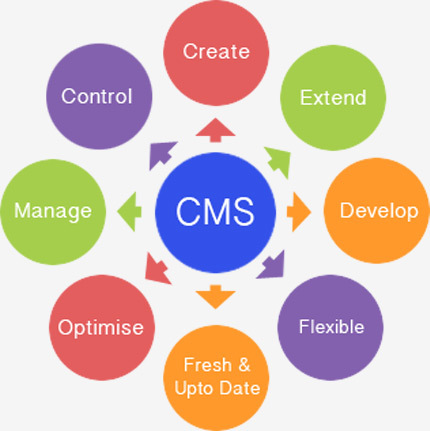 There are many types of CMS from open source software to custom CMS that can be used. It is also possible to customise an open source CMS to include custom features. The popular open source softwares are WordPress, Joomla, Drupal. There are many features that can be added to such CMS tools in the form of plug-ins which are easy to use. Here is a brief list of plug-ins that are very popular however is not the complete list. Alakmalak is a web development and design company in India that has been around for a long time. The started out as a small firm offering few web development services and have now expanded. Having completed more than 2000 projects for clients worldwide they continue to expand. Their highly skilled developers help make sure every website is delivered to high standard and on time.